St. Patrick’s Day is one of the best drinking holidays of the year and the perfect opportunity to celebrate with drinks. 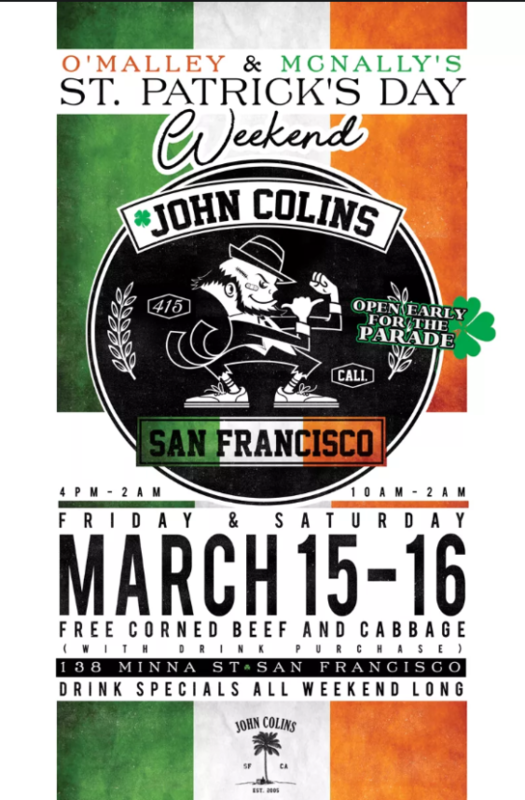 Join inside John Colins for a special St Patty’s Day Happy Hour featuring drink specials, cocktails and shots that you can drink (please drink responsibly). On Friday, there will have an extended drink specials form 7 pm to 9 pm. Plus, there will also have free corned beef and cabbage with drink purchase on Saturday.